Fri., Jan. 12, 2018, 10 a.m. 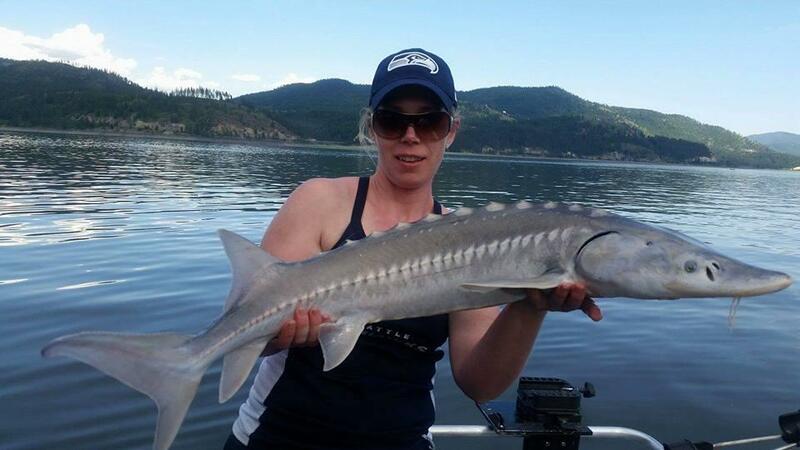 FISHING – Anglers will again be allowed to fish for sturgeon on Lake Roosevelt. However, the details of the season have yet to be finalized, said Bill Baker, Washington Department of Fish and Wildlife fisheries biologist in Colville. Baker said the slot limit will likely be narrower than last. Last year’s limit was between 38 and 63 inches. The fishery was so popular last year that the state had to close fishing early to prevent over harvest. “It was a relatively short lived season last year because harvest occurred quickly,” Baker said. Baker anticipates having more information about the season start, finish and requirements in the next few months. Published: Jan. 12, 2018, 10 a.m.